SOCCIS has cooperated with federally funded Title VI National Resource Centers, including the USC-UCLA Joint Center in East Asian Studies, the James S. Coleman African Studies Center, the Latin American Center, the Gustave E. von Grunebaum Center for Near Eastern Studies, the Center for European and Russian Studies, and the Center for International Relations. The consortium has also benefited from cooperation with the UCLA Center for Korean Studies and the Center for Chinese Studies. In the future, SOCCIS will continue to foster collaboration with these centers and others, as well as support cooperative efforts among the institutions associated with the consortium. This Conference was sponsored by Burkle Center for International Relations (UCLA) and the School of International Relations (USC) as part of the Southern California Consortium on International Studies (SOCCIS). "The Bush Foreign Policy Agenda: Substance, Process, Politics"
Presenters from three institutions (one was a visiting faculty). 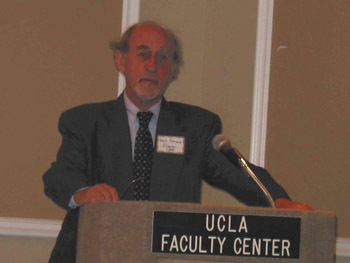 This conference sponsored by the Center for International Relations (UCLA), the School of International Relations (USC), the Center for European and Russian Studies (UCLA), was part of a SOCCIS series. This CERS conference, funded by the U.S. Department of Education, as part of an ongoing series of cosponsored programs with the Southern California Consortium on International Studies (SOCCIS), brought together scholars to discuss the spectrum of civil rights challenges facing the nations of the world in light of recent events. Significant questions addressed included the tradeoffs between a nation's security and the protection of internationally recognized civil rights, as well as international challenges to the protection of human rights. This conference was sponsored by the Center for European and Russian Studies (UCLA) and co-sponsored by the European Union Center of California and the Claremont International Studies Education Project (CISEP) as part of the Southern California Consortium on International Studies (SOCCIS). Keynote Luncheon Speaker: Erato Markoullis, Ambassador of Cyprus to the U.S. The Euro: A Currency Too Far? SOCCIS has a small fund restricted for the support of Canadian studies projects and activities. The fund allows SOCCIS to promote Canadian studies by providing seed money for the implementation of programs that deal specifically with Canada or have a Canadian component. 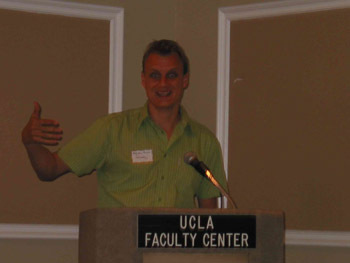 During 2000, SOCCIS was be able to support the Canadian studies component of the CONIC (Continental Council of Indigenous Organizations and Nations) Consortium conference, a proposal submitted by faculty representatives from Occidental College and UCLA. The participants in this four day program included representatives from native groups spanning Canada, the United States, and Latin America. A seed grant of $500 was awarded for the fourth day, one-day public conference held at UCLA on October 30: "First Nations in the New World Order: Indigenous Organizing for the New Millenium." Conference topics ranged from cultural revitalization, land struggles, and self-governance, to the impact of globalization on indigenous communities through transnational migration and international agreements such as the North American Free Trade Agreement. The proposed activity should focus on a topic or theme dealing with international or foreign area studies or internationalization of the curriculum - a theme that will benefit from interdisciplinary examination. The proposal should involve active participation of or co-sponsorship by two or more SOCCIS institutions, including a mix of public and private institutions. The activity will take place on the campus of a sponsoring member institution and it should be open to the public. The participation of faculty from SOCCIS member institutions is a requirement; students from SOCCIS member institutions should be invited and encouraged to attend the conference. If a SOCCIS small grant is provided, these funds may be used for honoraria, travel/lodging, conference facilities, and preparation of conference programs. SOCCIS funds may not be used for luncheons, dinners, or entertainment. A report will be submitted to the SOCCIS Executive Office within two months of the completion of the SOCCIS co-sponsored program. The report should describe the results of the activity/conference and any measures of success that are appropriate. Copies of course syllabi, conference papers and presentations should be attached to the report. Four SOCCIS universities, California State Polytechnic University, Pomona, California State University-San Bernardino, California State University-Los Angeles, and UCLA co-sponsored visits, lectures and performances by Cuban visiting faculty and creative artists during four academic quarters of 1999-2000. All are universities on the quarter system and able to easily arrange for visitors to participate in activities on each campus. Other SOCCIS members in our area (Loyola Marymount, Occidental, etc.) were also invited to participate in or arrange special visits by the Cuban visiting scholars. Representatives from two campuses visited Cuba during July 1999 to meet with officials in the Ministry of Culture and individuals whom would be invited to California during the fall and winter quarters. Cal Poly Pomona developed "Cuba Today," a two-course sequence that supports the flow of information between scholars in Cuba and their southern California colleagues and serves the broad community and student interest in regional studies. Nine Cal Poly Pomona faculty and professors from each of the other institutions worked together to plan the project. Scholars from Cuba were invited to lecture and provide seminars during the fall and winter quarters. The entire "Cuba Today" sequence spans four quarters, with student research and cultural activities in spring and on-site research by California students in Cuba during summer 2000. Cal Poly Pomona: The Cuba Today Course sequence at Cal Poly Pomona extended over four academic quarters from September 1999 to August 2000. The Fall course (September-December 1999) was called "Contemporary Cuba" and involved an innovative series of lectures and participatory activities focusing on Cuba's pre revolutionary and post-revolutionary economy. The course was team-taught by Cal Poly Pomona professors and visiting Cuban Scholars. Students explored the history of Cuba and U.S.-Cuban relations prior to the revolution and post 1959. The course examined the role of the city, especially Havana, as well as issues around urbanism before and after the revolution. The final weeks of the course focused on Cuba's future in the era of globalization. The course also featured Cuban films and documentaries about Cuba. 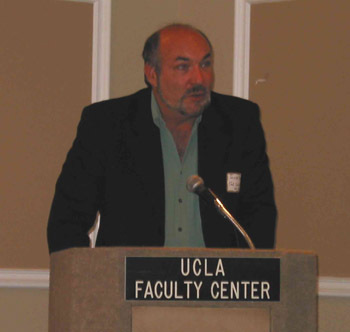 The Fall course was taught by Cal Poly Pomona Professors José Vadi, Gwen Urey, and Saul Landau. Participating scholars from Cuba were Professors Soraya Castro Marino and Lázaro Luis González Morales from the Center for the Study of the United States (CESEU) at the University of Havana, Dr. Ricardo Nuñez from the Group for the Comprehensive Development of Havana, and Dr. Julio Carránza from the UNESCO office in Havana. CSU San Bernardino professors also hosted the Cuban scholars in their classes as did faculty members from CSU, Los Angeles. 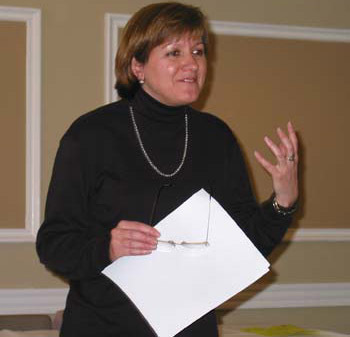 Professor Soraya Castro gave an in depth overview of U.S.-Cuba relations. Students got a chance to see a Cuban who was not a rigid ideologue but one who exhibited a genuine desire to achieve changes that would reduce tensions and the possibility of conflict with Cuba. She visited the home of one of the students when she was invited to go there to discuss the Cuban revolution with a critical aunt of that student. Both the student and his aunt came away impressed not only with her knowledge but also with her humanity. Lazaro Luis Gonzales spoke about what the revolution had done for him as the son of a man who had only gone as far as the fifth grade in school. Students learned what it was like to live in the euphoria of a revolutionary process as well as what it is like to live in a country undergoing huge economic and social stresses. They learned about Cuban youth, about health practices in Cuba, about issues such as abortion in Cuba, and about the daily struggles that Cubans confront in difficult economic times. In short, the course helped to break down political and cultural barriers between the scholars and the students while emphasizing our common humanity. Ricardo Nuñez presented a panoramic view of the City of La Habana from an urban planning perspective. Students learned that one of the key problems that Cuba faces is the lack of a system of valuation of real estate that is accurate. Also, Cuba lacks a legal structure that would support the new moves toward the market in Cuba in what is known as "market socialism." Nuñez also gave graphic illustrations of the joys of La Habana, its rich history and architecture, as well as of the vicissitudes of daily living in the city. The course also helped to establish that in Cuba there are differences of opinions and great political debates that are ongoing. For example, economist Julio Carranza discussed the views of young economists who have argued for incorporating market features into the Cuban economy while maintaining the social gains of the revolution. These younger scholars have at times experienced rather harsh criticism from the more bureaucratic sectors of Cuba that resist change and adaptation. Students enrolled in the course were "walked" through nine stages of evolution of Cuban economic policy and learned about the Cuban economy in detail. The Winter course (Jan--March 2000) was called "Crossroads in the Caribbean: Cuban Culture, Identity, and the Arts as Intersections of Everyday Life." The course explored the relationship between Cuban culture and social transformation and examined the dialectic between art and politics. Students learned about indigenous legacies of the Caribbean as well as Cuban oral traditions, literature, film, theatre, fine arts, and music. Cal Poly Pomona lead faculty were Gail Fekete and Patricia de Freitas. The course culminated in a Fiesta African y Caribena. During the winter quarter, Nancy Morejon, the internationally known Cuban poet, read her poetry, lectured, and demonstrated her talents as a percussionist. Pablo Armando Fernandez, winner of Cuba's highest literary award (Premio Casa Las Americas), served as scholar in residence for the entire quarter. As was the case in the Fall quarter, these scholars were shared with sister campuses in the California State University system (Cal State Los Angeles and Cal State San Bernardino). The Cuba Program was thus able to build a community in the southern California region interested in broadening contacts with Cuba and in sustaining future scholarly exchanges. Over the spring quarter, students designed research projects in anticipation of the summer course, which involved travel to Cuba. The students did research in Cuba for two weeks and then completed their work when they returned to the United States. Cal Poly Pomona was able to subsidize 10 students needing assistance through a grant from the Students' Association. 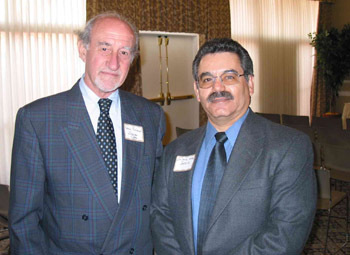 Dr. Jose Vadi, Coordinator of the Cal Poly Pomona Cuba Student/Faculty Exchange Program, was instrumental in organizing this crucial support for students. A total of 12 students and seven faculty and staff traveled from CPP to Cuba. CSU San Bernardino: CSUSB's International Institute organized a year-long, interdisciplinary Cuban program which collaborated with Cal Poly Pomona in bringing six visiting Cuban professors to campus to teach in classes with six CSUSB professors (Dr. Rosalind Bresnahan, Dr. Dan Whitaker, Dr. Alma Dizon, Dr. Rosalie Giacchino-Baker, Dr. Rafael Correa, and Dr. Mayo Toruno) in six different departments (Communications, Liberal Studies, Spanish, Education, and Economics). More than 200 CSUSB students had opportunities to interact with the Cuban professors. Cultural activities throughout the year helped to bring the Cuban program to life at CSUSB. During the fall quarter, Dr. Soraya Castro presented an international lecture on Cuban/U.S. relations. In the winter, the International Institute co-sponsored a live theatrical presentation of "Fresa y Chocolate" by the New York-based theater company, Repertorio Espanol; an art exhibit by the Cuban painter, Raul Cordero; and a Caribbean film festival. During the spring quarter, CSUSB' music department organized a Music of the Americas week. Seven CSUSB professors and seven students participated in a two-week study tour to Cuba (June 24-July 8) that included presentations by Cuban scholars, academic field trips, and opportunities to conduct research. Research projects will be completed and presented in various formats and venues during the 2000-01 academic year. CSUSB poled the summer program faculty and students. Feedback was good with suggestions mainly in the area of logistics. Rosalie Giacchino-Baker and Elsa Fernandez Ochoa made a presentation at the Phi Beta Delta conference last spring and submitted an article for the Phi Beta Delta journal on CSUSB's experiences in the Cuban program. Dr. Giacchino Baker will be making a presentation at the NAME Conference this fall. 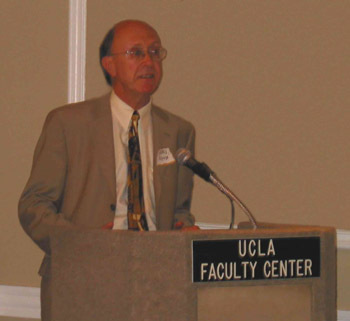 CSU Los Angeles: Faculty member Dr. Don Bray organized the Los Angeles area program. The intent was to focus extensively on the dance troop but plans were thwarted by the US refusal of visas. Nonetheless, Los Angeles had significant student and staff interest in the summer program and sent six faculty and staff and eight students (two, Cuban born, were refused visas on technicalities but will travel later in the year). Thus, the three campuses recruited 47 students, faculty and staff and sent 45 to Cuba. Demonstrably hundreds of students, faculty and staff benefited from the programming, co-funded by SOCCIS (ACLS was a major funded as were the universities, in the case of LA and SB, and additionally the College of Liberal Arts and Social Sciences in the case of Cal Poly Pomona). Besides the significant contribution of faculty salaries on the part of Cal Poly Pomona and CSU San Bernardino, Cal Poly Pomona funded a faculty coordinator for the fall and winter quarters and the CPP International Center supported the coordinator for the spring theme quarter and staffing the overseas study component during the summer. The partner universities received extramural funding for the Working Group on Cuba. The participating institutions made arrangements for local faculty, announced the courses, and identified the academic coordinator. The SOCCIS SMALL GRANT awarded from SOCCIS helped defray costs of international and local travel for the visiting faculty from Cuba.